Early instars of these Caterpillars of this species are dark blue with one or two orange diagonal stripes, and have short spines along the body, and longer ones on the thorax and ninth abdominal segment. In later instars, the orange stripes become green and the spines degenerate to coloured knobs. 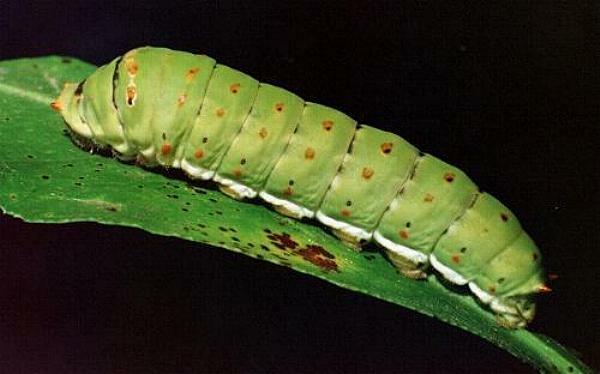 The last instar is mainly green, with some dark markings on the sides. Curry Leaf Tree, ( Murraya koenigii ). The Caterpillar grows to a length of about 4 cms. 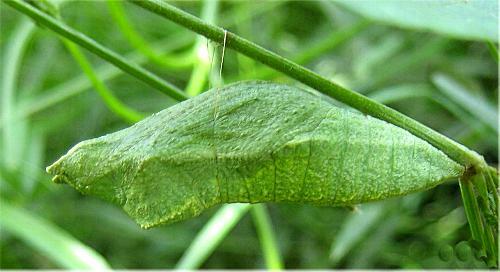 The pupa is greenish-brown and attached to a stem of the foodplant by cremaster and girdle. It has two projections on the head and one on the thorax. Its length is about 3 cms. 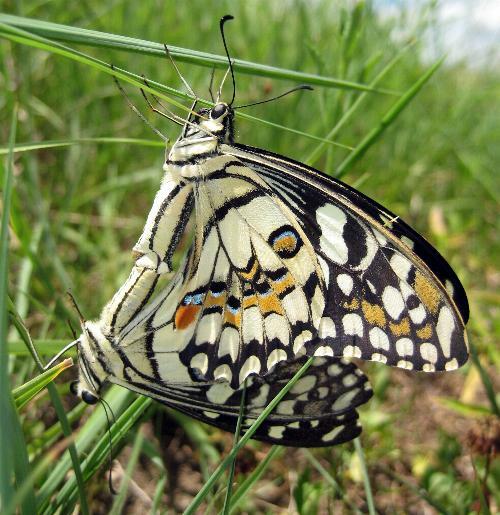 The adult butterflies have buff coloured wings with wide black edges containing buff spots. 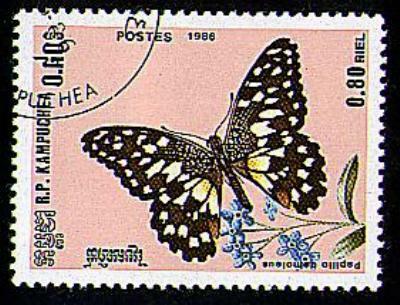 The hind wings also have two eyespots: one red and one blue. 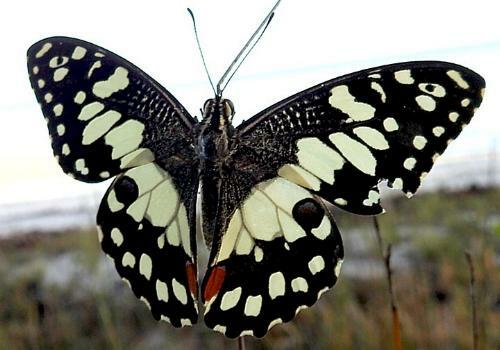 The underside is similar with narrower and paler black markings. 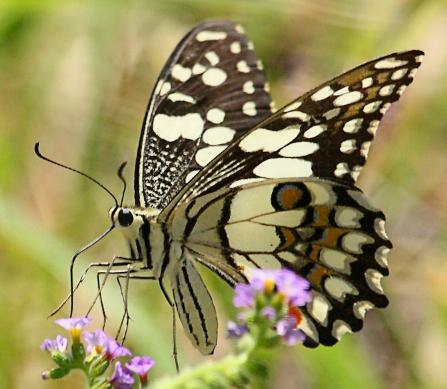 The butterflies have a wingspan of about 10 cms. Usually seen rapidly flying in one direction at a constant height, they only occasionally land, and catching one is a real thrill. 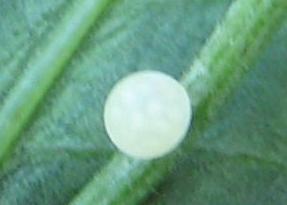 The eggs are pale yellow and spherical. They are usuallly laid singly on the upper surfaces of leaves of a foodplant. 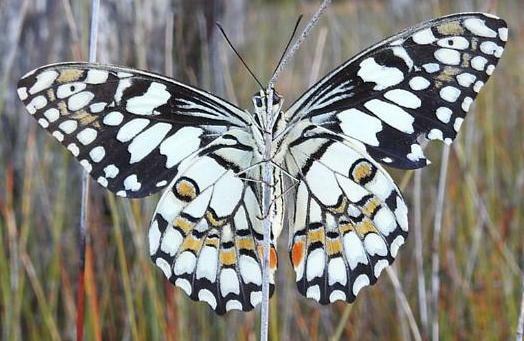 This species is featured at Coffs Harbour Butterfly House. Butterflies of this species may be purchased for release at weddings etc. CSIRO Publishing, Melbourne 2000, vol. 1, pp. 274-276. Earthling Enterprises, Brisbane, 2005, p. 11.
, Volume 1, Edition 10 (1760), Class 5, Part 3, p. 464, No. 35.